*Former CEO, American Fish Co.
Ellis S. Krauss was born in Memphis, Tennessee in 1944 and grew up in Brooklyn, New York. 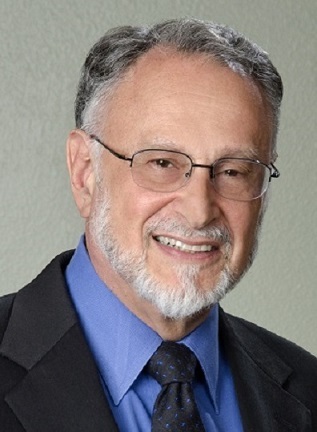 After graduating from Brooklyn College of the City University of New York, he entered Stanford University in 1964 and received his Doctorate in political science in 1973. Dr. Krauss has since held professorships at Western Washington University, at the University of Pittsburgh, and at the School of Global Policy and Strategy at the University of California San Diego (UC San Diego). After almost 20 years at UC San Diego, he retired with the title of Professor Emeritus in 2015. Professor Krauss has contributed to promoting academic exchange between Japan and the United States and improving the understanding of Japan in the United States for over 45 years. One of the leading experts in Japanese politics and diplomacy, Professor Krauss has conducted extensive research and has written approximately 100 papers and books on these subjects. His research has been highly respected among his peers, and he has been published in the most prestigious political science journals in the world, including American Political Science Review and American Journal of Political Science. Professor Krauss has also authored or edited eight books. Professor Krauss has also conducted research on Japan in comparative perspective at several top universities around the world, including Japan, the U.K., Germany, and Italy, and is currently working on a new co-authored book with German and American colleagues comparing Germany’s and Japan’s security policies under their postwar constitutions. Among many other roles in which he served, Professor Krauss looks back especially fondly on his five years as Director of the International Career Associates Program (now Global Leadership Institute) at UC San Diego, an executive education course for bureaucrats and economic experts of various countries, including Japan; and on helping these students develop as internationally-minded leaders. Many of Professor Krauss’ students at UC San Diego have gone on to succeed in the fields of Japanese politics and foreign affairs, notable among them John Nylin, Foreign Service officer at the U.S. Department of State; Dan Smith, Associate Professor of Japanese Politics at Harvard University; and Kuniaki Nemoto, Associate Professor of Japanese Politics at Musashi University, Japan. Mr. Ernest Doizaki was born in Los Angeles, California as a third generation Japanese American. After graduating from Crespi High School in 1965 he enrolled at the University of San Francisco, and at the same time began assisting at American Fish Company, owned by his father George Doizaki (recipient of a 1982 Japanese government decoration). Upon graduating he studied at Japan’s Waseda University and after returning to the U.S. in 1972, he was appointed Assistant General Manager at American Fish Company and achieved a great expansion of its business. He has supported the promotion of Japanese food products from the supply side, and has also participated actively in the local Japanese American community. Particularly noteworthy is his involvement in the Japanese American National Museum, which opened in 1992. Because his relatives were confined in Japanese American internment camps, he has great interest in honoring and advancing the status of Japanese Americans. He served on the Board of Trustees since the Museum’s conceptual phase, serving as a Member of the Board of Trustees from 1991, and Chair from 2010-2014. In 2010, the Museum received the U.S. National Medal for Museum and Library Service. The Museum shares the difficult history of Japanese Americans as an important part of U.S. history, transmitting the message that the unjust treatment of Japanese Americans should not be repeated with any other minority group, and has become a symbolic institution for the diverse Southern California region. Through widely sharing the Japanese American story as an integral part of U.S. history, he has contributed to advancing the status of Japanese Americans and the building of a future-oriented relationship between Japanese Americans and Japan. Due to Mr. Doizaki’s efforts, awareness of the Museum in Japan has been heightened, and dignitaries such as His Imperial Highness Crown Prince Naruhito and Prime Ministers Obuchi and Abe have visited the Museum. Mr. Doizaki has also played an important role in promoting Japanese food widely in the U.S., serving as Chief Executive Officer of American Fish Company from 1982 to 2014. During a time when procurement of Japanese food products was difficult in the U.S.、his company was indispensable to local Japanese restaurants with its weekly deliveries of fish flown in from Japan. Under his leadership, American Fish Company contributed greatly to the promotion of Japanese food throughout the U.S. by establishing transit warehouses in major U.S. cities. Mr. Doizaki has also been involved with the U.S.-based Japanese Restaurant Association established in 2009, furthering relationships with the Japanese restaurant industry. 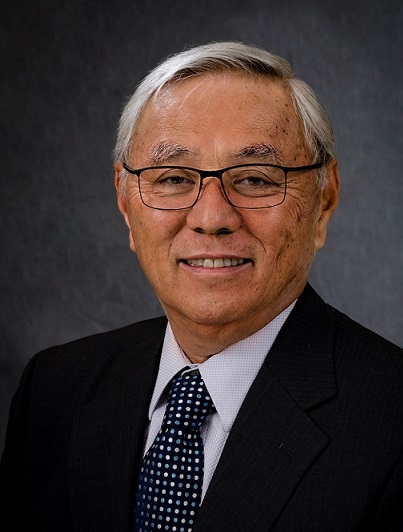 Mr. Doizaki has also supported U.S. society beyond the Japanese American community through corporate donations, and in 1994 he received the “Spirit of Life Award” from City of Hope, a care and research facility for cancer patients. Currently he is the Chief Executive Officer of Kansas Marine Company, which supplies food products to U.S. luxury cruise lines.